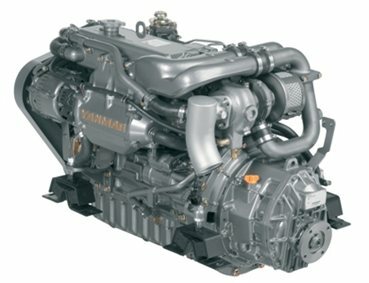 Compact and powerful, clean and quiet, these are mid-range three and four-cylinder Yanmar diesels based on a completely redesigned engine block and new combustion system. The new 3JH5E and 4JH5E are fully compliant with EPA Tier 3 emissions regulations, so you can enjoy more displacement, power and torque, with low vibration, low noise and low emissions. Maintenance is easy and straightforward.